Hundreds gathered for mooncake to celebrate the Mid-Autumn Festival at the Salvation Army Chinese Church. Co-ordinator Swee Chan says the Mooncake Festival is to celebrate being with family. Chinese tea was available throughout the night, in addition to the pot luck dinner and mooncake dessert. 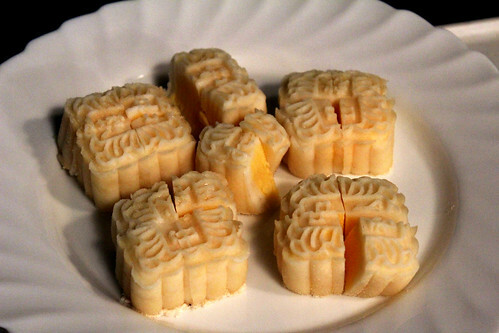 Before this, it is believed to have come from Chinese legends and folk tales, such as Han Chinese revolting against the Yuan Dynasty, where secret messages were sent out on mooncakes. The event is now one of the biggest in China, next to Chinese New Year. Swee Chan and her husband Wai Phang have been organising this event at the church for the past six years, after moving to New Zealand as migrants in 1996 from Malaysia. “We didn’t have many people come initially, we didn’t know how to do it, but slowly we got the hang of it. They had a kitchen team of about 6 who helped to prepare the pot luck food and Chinese tea. Some spent around two hours to make the cakes. “The traditional one takes skill to make, but we haven’t poisoned anyone yet,” laughs Swee Chan. She hopes that this year’s success will encourage more to the Chinese Church, which is a branch of the Hutt City Salvation Army where Chinese church goers meet every week. “Most of the Chinese are very suspicious about going into a church. They’ve never been into one, or heard good things about it, so that becomes very difficult.